Home > News > Machine for Sale – Great Price! This compact, standalone solution requires minimal floor space and is simple to operate using the user-friendly colour touch screen. This machine can be adapted to your needs, with easy-to-edit programs. 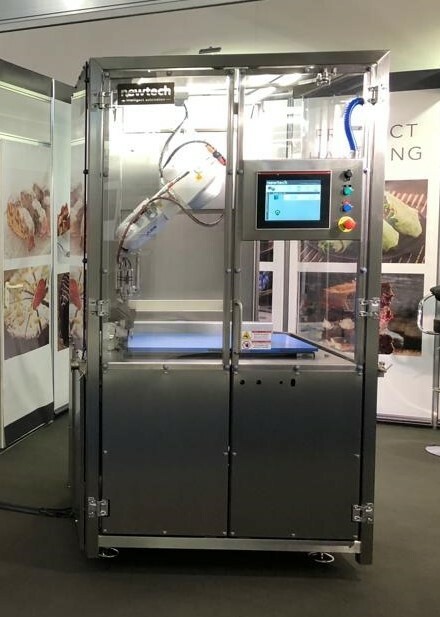 Utilising ultrasonic cutting technology and a 6-axis robot the flexible RoboSONIC Batch is designed to accurately portion a wide range of products, which include traybake, round and loaf bakery items, round and stick cheese, pies and quiche, according to your specifications.